Discussion in 'Solo' started by SWNN Probe, Sep 6, 2018. 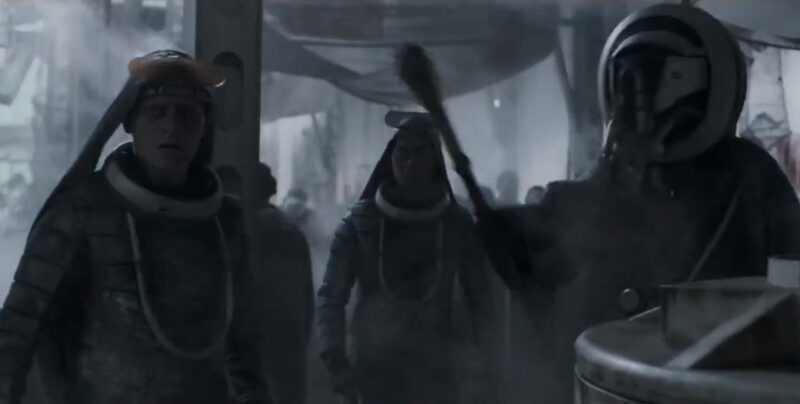 A deleted scene from the upcoming home video release of Solo: A Star Wars Story has been revealed, which has Han Solo and Qi'ra fleeing on foot on Corellia before their attempt to leave the planet. The video comes courtesy of USA Today and will join several other cut scenes from the film in the bonus features in the Solo home video package. Check out the scene below! ABC News' Clayton Sandell recently told our podcast The Resistance Broadcast that the promotion for Solo's home release may focus more on the romance between Han and Qi'ra, and with the promotional release of this deleted scene he was absolutely right. Sandell shared some other bits with me and the crew, so you may want to go back and give that episode a listen. Solo: A Star Wars Story will be available for digital download in just eight days on September 14th, followed by the 4K/Blu-ray release on September 25th. This is where the fun begins! Is that your hand between two pillows? I like this deleted scene. It had good pacing. It was thrilling but also funny. i would have liked this scene in the movie. I didn't quite 'connect' with Qira like others here seem to have. they are having a moment. running for their life, sitting in a smelly tank with.. eel things and yet they still manage to have a nice moment.